Discussion in 'Team KII' started by Naomi, Jan 16, 2011. Also I think u misspell the 8th ranked song. Should be seishun no mizushibuki. A coupling song from utsukushii inazuma. The splashes of youth in English lol. Thank you so much lol. I really didn't know those two at all lol. Wild guesses. I fixed them now. "SKE48 of Kaori Matsumura maid cafe was working as a part-time job in the past, part of the contents of Matsumura wrote at the time resume posted on Twitter, is called a ripple. Mr. Matsumura appeared on the graduation concert on February 5. Following this, the store posted motivation to apply, Mr. Matsumura's application when applying for a byte, byte history, favorite animation work etc." She then wrote about it on twitter. "I am overwhelmingly violating the overwhelming rule of exposing the contents of the resume 12 years ago when I came over my graduation news. It is too terrible. When I think that various personal information such as the address of the house of those days are still held, it is unpleasant and scary. Because I am thinking that it is not a problem? Personal information It is not protected at all"
added: video, including the fall through the floor. "There was a surprise that suddenly the floor came out and the Matsumura falls into the pitfall suddenly though it seems whether it will be the moving finale at the end. Takayanagi sent a message saying "There is no way for it to end beautifully" at the end, Matsumura decorated the finish of SKE 48 life end." She has diverse music preference indeed. She sprain her leg, so they are postponing her bday live. Technically, it was a pre-wedding for Zero Position as I read it. "[Presentation] March "Matsumura Kaori Graduation Commemoration / Pre-Wedding" planning !! 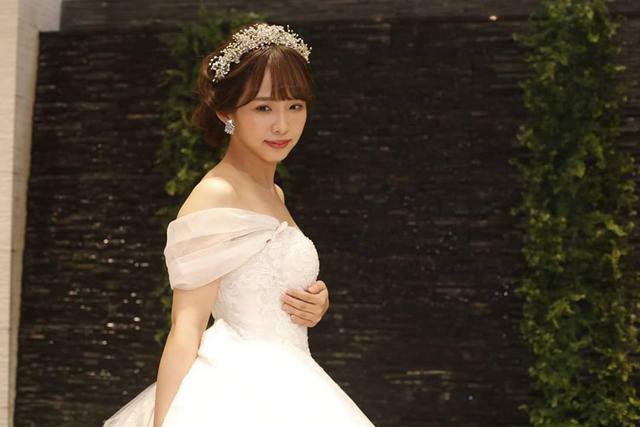 For Matsumura "I want to marry as soon as possible after graduation", set a pre-wedding ceremony to the principal secretly. Also members 18 people made a surprise wedding reception was attended! Matsumura in primary MC # Zeropoji graduation commemorative project that is give by way of all-out. 3/2 (Saturday) broadcasting start !!" That wedding was real? So she was basically was dating and got engaged while still a member? It also seems her husband is Caucasian? His complexion is on the whiter side, and has a big body frame too. woah hold up she's actually married?? lol. That's so random of her, but also like congrats too. And yea it does seem he isn't Japanese so that's really cool. The news abt "the wedding" & some photo.. It's just a farewell project though.. Not a real wedding.. Hehe.. But Kaotan look really gorgeous in that wedding dress.. But she looks real good for the real thing when it comes though ! 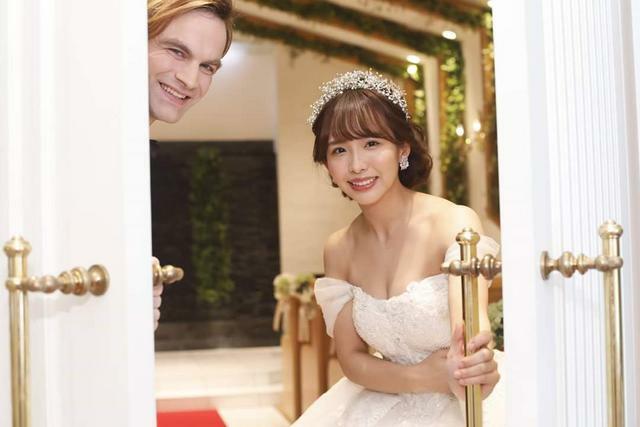 More pics from the "pre-wedding" on Zero Position, tonight at 23:00 (Japan). Note the "pre-" Note also the quotes "wedding." AKB48 used to have "weddings" on AKBINGO. This one is on SKE48 Zero Position. You can read about it on the show's website. It is really a pre-graduation farewell show. 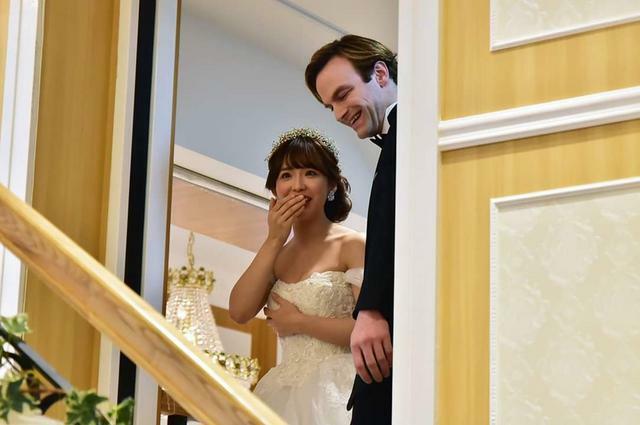 This time, the 2nd of "Feedback Kaori Matsumura Pre-wedding", a farewell project to Kaori Matsumura who graduated from the group in April 2019!" This time, with the cooperation of Tobu Railway , for the period from April 4th to 26th, the graduation commemoration number with its own illustration drawn on the head mark [see the Kaotan circle she is holding in the 2nd picture, which will go on the front of the train, as I understand google], the service between Ikebukuro-Ogawacho Station on the Tobu Tojo Line is decided. Along with this, Matsumura, who was appointed as the stationmaster of Wako-shi station one day from Mr. Masayuki Ogino station-master of Wako-shi station, carried out duties such as greetings for passengers getting on and off at the ticket gate and cleaning activities around the station. ""I am happy to be able to collaborate with Wako City and Tobu Railway, who have been indebted for a long time. This is a form of graduation commemoration, but I will continue to work as a Wako city cheerleader after group graduation. In 2015, she was appointed to "Wako City Cheer Leader" in Wako City, where she is from. In addition to actively participating in local events, we are contributing to the improvement of attraction by working to disseminate information on the city through our own SNS."